Walking with Jesus: Day 140: Luke 19:28-48 & Psalm 136 - Why Did the Crowd Say "Blessed is the King who comes in the name of the Lord!"? Day 140: Luke 19:28-48 & Psalm 136 - Why Did the Crowd Say "Blessed is the King who comes in the name of the Lord!"? "Blessed is the King who comes in the name of the Lord!"? When the crowds gathered to welcome Jesus during His triumphal entry into Jerusalem, the Gospels tell us they shouted, "Blessed is the King who comes in the name of the Lord!" Matthew, Mark and John also tell us that they crowds shouted "Hosanna!" So, why are these words so important? What do they mean? And why did the Pharisees in the crowd who heard the people shouting this tell Jesus to rebuke them for saying it? The crowd in Jerusalem was quoting Psalm 118. Verses 25-26 say, "Save us, we pray, O Lord! . . . Blessed is he who comes in the name of the Lord!" "Save us" is the Hebrew word "Hosanna!" The Pharisees wanted Jesus to rebuke the crowd because they were afraid that Rome would crack down violently on a political uprising centered on a would-be Messiah. But Jesus did not rebuke the crowd because He knew the truth. He knew that Psalm 118 did, in fact, describe Him, but not in the way the crowd expected. 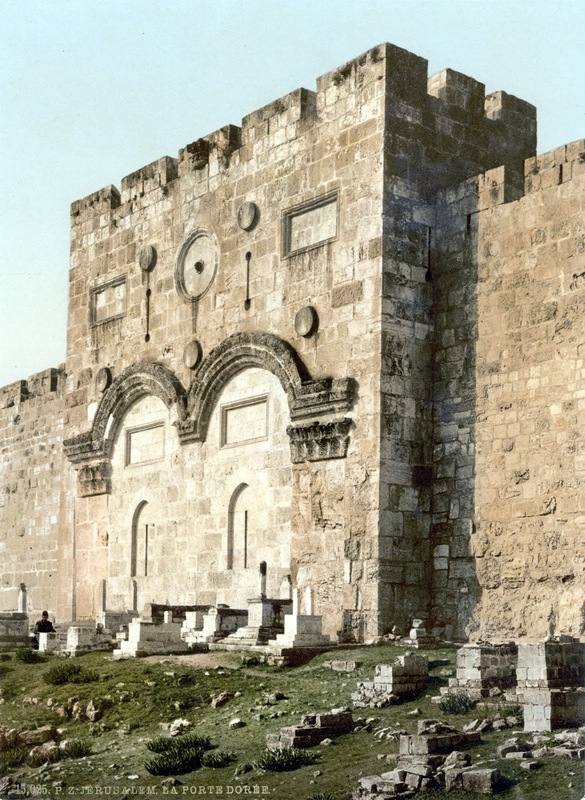 Jesus not only entered Jerusalem through a gate, but He came into Jerusalem as "the gate of the Lord." He was coming to become our salvation. He was coming as the stone, rejected by the builders, who would become the cornerstone of God's house. He was coming to do the Lord's work, to fulfill the purposes of God. So, even though the crowds did not understand what they were shouting, they were right: Jesus did come in the name of the Lord to save them - not from Rome, but from themselves, from their sin and death and condemnation. He would do it by being rejected and condemned in our place, by becoming our salvation. never fail. They endure forever! spreading the stars and and ordering creation with wisdom and love. and ultimately from sin and death and hell itself! We give thanks to You, O Lord, for Your saving power and steadfast love endure forever!